Mass Effect Andromeda - Buy and download the game here! NOTE : Activation key must be used on a valid Origin account, requires internet connection. 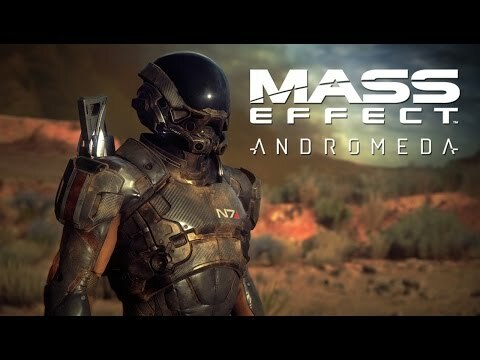 The Mass Effect Universe: Lead the first humans in Andromeda on a desperate search for our New Home. In this new chapter of Mass Effect, meet and recruit all-new, interesting characters caught up in an epic space saga filled with mystery and galactic conflict. Fight For Survival: Fight with your Pathfinder team In battle against terrifying enemies and creatures. New additions like destructible environments, boosted jumps for added verticality, and all-new weapons and Biotics make combat more thrilling than ever. Build Your Hero: Build a formidable hero with amazing weapons, powers and tech. With a much more flexible skill and weapon progression tree, you can replicate your play style to make you unstoppable against new, powerful alien enemies. Explore A New Galaxy: Chart your own course in a dangerous new galaxy. Unravel the mysteries of the Andromeda galaxy as you discover rich, alien worlds in the search for humanity’s new home.